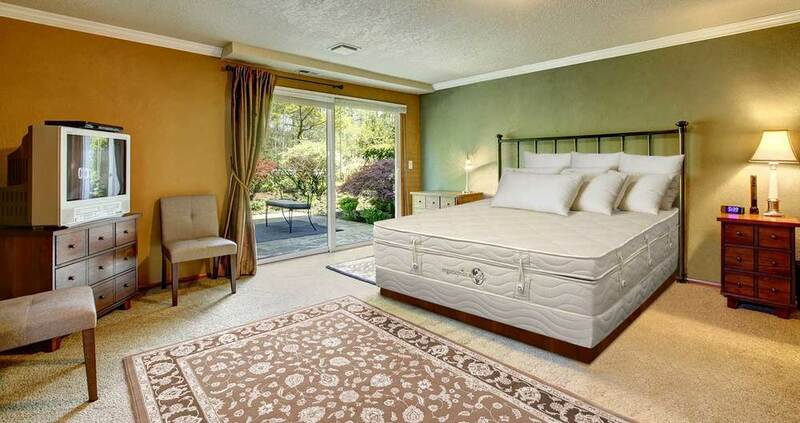 Built by hand in America at our Eco-Factory™ in Northern California from the finest certified organic raw materials available, OrganicPedic Earth organic mattresses provide a sensational plush and soft feel by utilizing less-firm latex layers designed specifically for comfort. Organic mattresses in the OrganicPedic Earth collection range in comfort level from ultra-plush to medium firm, and are certified organic by Global Organic Latex Standard (GOLS). For a more-firm feel choose the OrganicPedic® organic mattress line, which ranges in comfort level from medium to extra firm.